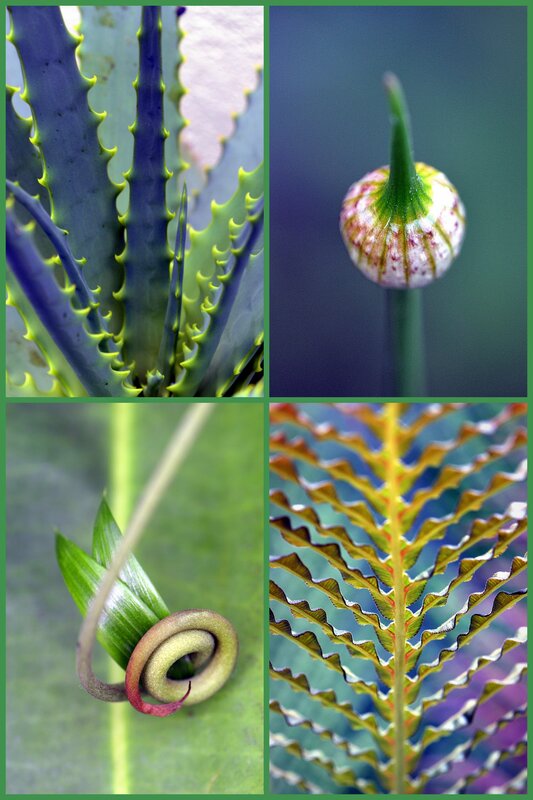 Weekly Photo Challenge: It Is Easy Being Green! Different shades, textures, and forms of green from the garden. A short while ago, I posted a photo from above of an Allium ‘Purple Sensation’ bud just before it was about to open. Here are side views of subsequent phases in the Allium lifecycle: opening, and fully open (ok, those might not actually be the technical terms). Alliums look delicate, but pitted against squirrels, Alliums will usually win. Why? Because they are members of the onion/garlic family, and squirrels prefer slightly less aromatic bulbs for dinner. 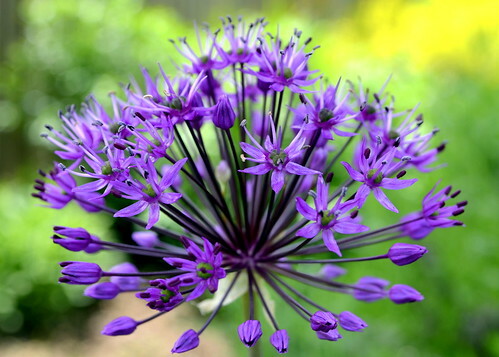 Hummingbirds and butterflies have more sophisticated palates, however, and love Alliums. 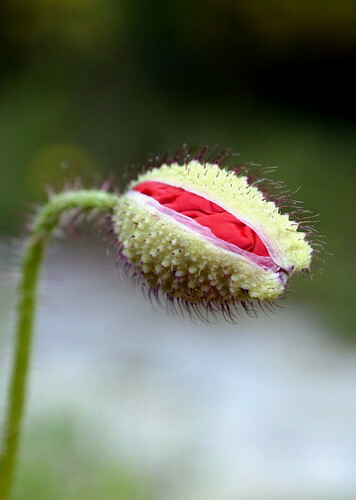 It can’t get any better: a flower that deters pests but attracts welcome guests. 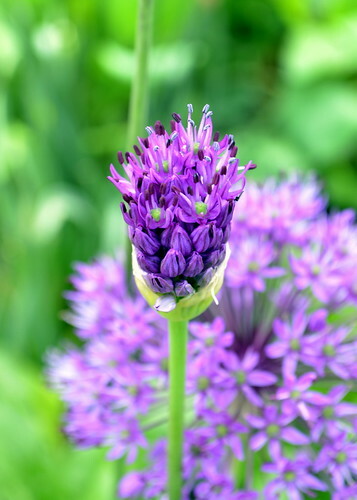 Adding to the Alliums’ charms is the fact that they 1) don’t take up much space and so can be tucked almost anywhere, 2) are long lasting, 3) are pretty hardy, and 4) are just pretty. In the language of flowers, the message Alliums convey is one of perfection and elegance. It’s hard to disagree with that.